It was a bumpy ride for stocks last week but the Dow still managed to eke out a gain. Click chart for more market data. After a bumpy ride last week, jittery investors are hoping for some soothing words from the new head of the Federal Reserve. Janet Yellen will testify this week before Congress for the first time since she took control of the central bank this month. She will appear before a House committee Tuesday and take questions from the Senate Thursday. The hearings come as investors grapple with disappointing economic reports for January, including weakness in manufacturing and another tepid jobs report, will mean for stocks. 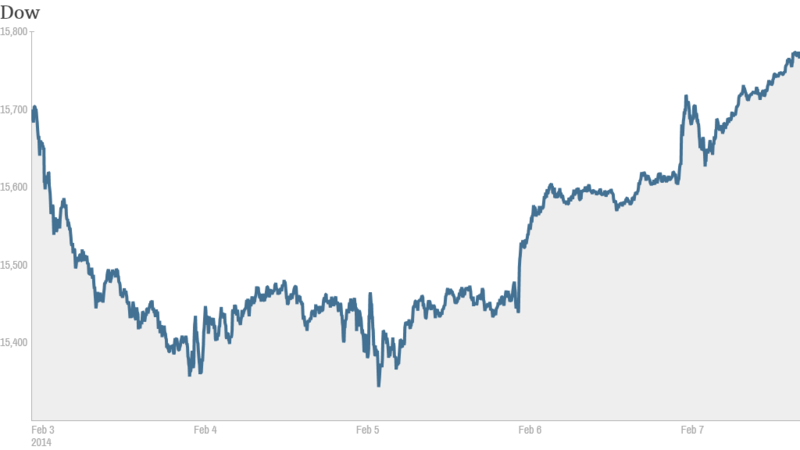 Still, stocks rallied Friday despite the weak jobs news. That's because some investors believe the Fed may now have second thoughts about its plans to slow down, or taper, its bond-buying program. But others say central bankers are unlikely to change course based on just one or two months of soft data, which also may be merely due to unusually cold weather. But investors have more to worry about than just the Fed and U.S. economy. Stocks have been volatile in recent weeks amid signs of weakness in China and turmoil in other emerging markets. Last week, the Dow Jones Industrial Average had both its worst and best days of 2014. 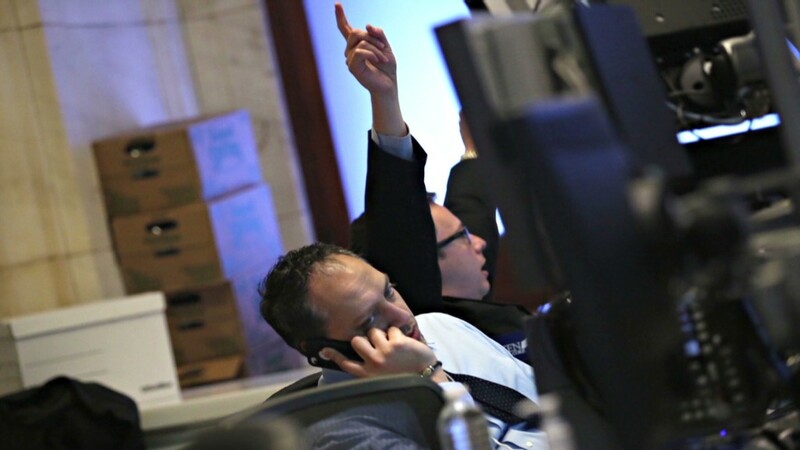 The blue-chip average plunged 326 points on Monday, then surged 188 points on Thursday. Despite the turbulence, the major gauges all ended slightly higher for the week. Related: Are tech stocks the next safe haven? Nonetheless, the recent volatility has prompted many investors to move money out of stocks and into bonds. Investors yanked $18.8 billion from mutual funds and exchange-traded funds that invest in U.S. stocks during the week ended Feb. 5, according to data from Lipper. That marked the biggest weekly outflow since Lipper started tracking fund flows in 1992. A pause in the sell-off? At the same time, roughly $10.7 billion flowed into ETFs and mutual funds that own taxable bonds, according to Lipper. Fund tracker EPFR Global also reported record inflows into bond funds and outflows from stock funds during the same time period. Meanwhile, corporate earnings for the fourth quarter have been better than expected. Of the 344 companies in the S&P 500 that have reported results to date, 72% have topped analysts' expectations, according to FactSet Research. But the real surprise has been at the top line: 68% of companies have reported revenue growth above what analysts had predicted. That rate is "well above" the average for the past four years, according to FactSet. If the number holds, it will mark the highest percentage of companies beating sales estimates since 2011. The week ahead brings results from another 55 companies in the S&P 500, including Pepsi (PEP), Sprint (S), AIG (AIG), CVS (CVS) and Dow component Cisco (CSCO). On the economic data front, Thursday's release of January retail sales figures will probably be the most important number of the week to watch.